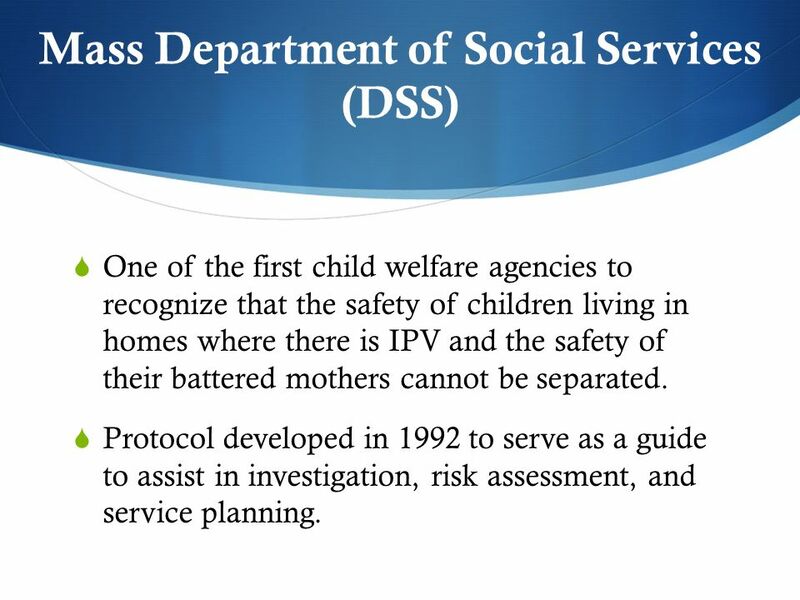 2 Mass Department of Social Services (DSS) One of the first child welfare agencies to recognize that the safety of children living in homes where there is IPV and the safety of their battered mothers cannot be separated. 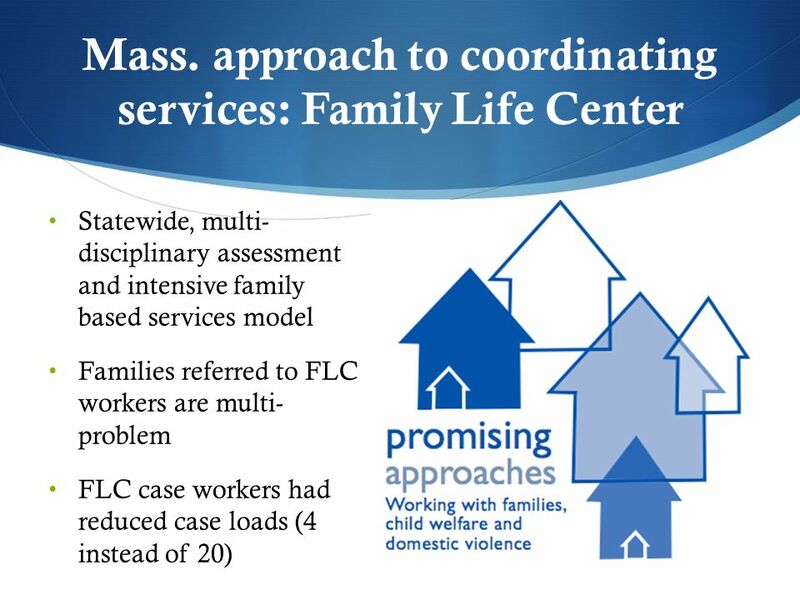 Protocol developed in 1992 to serve as a guide to assist in investigation, risk assessment, and service planning. 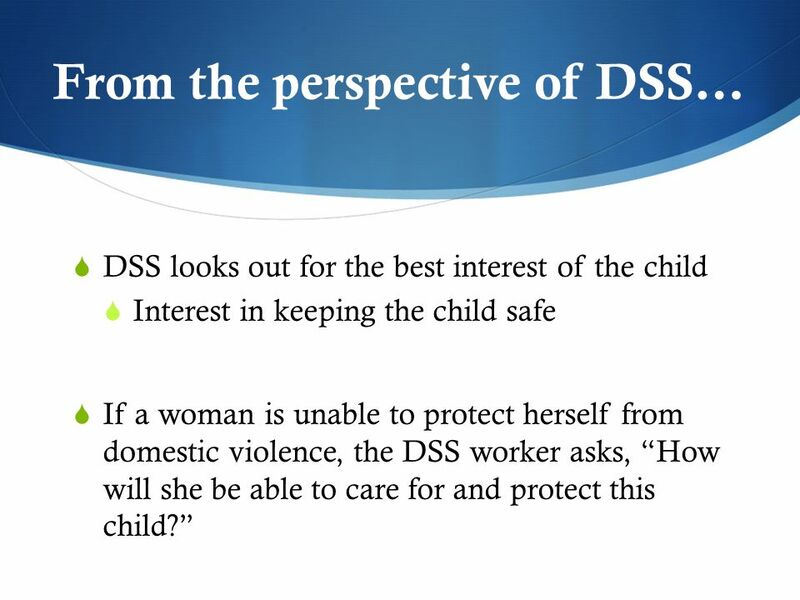 7 From the perspective of DSS… DSS looks out for the best interest of the child Interest in keeping the child safe If a woman is unable to protect herself from domestic violence, the DSS worker asks, How will she be able to care for and protect this child? 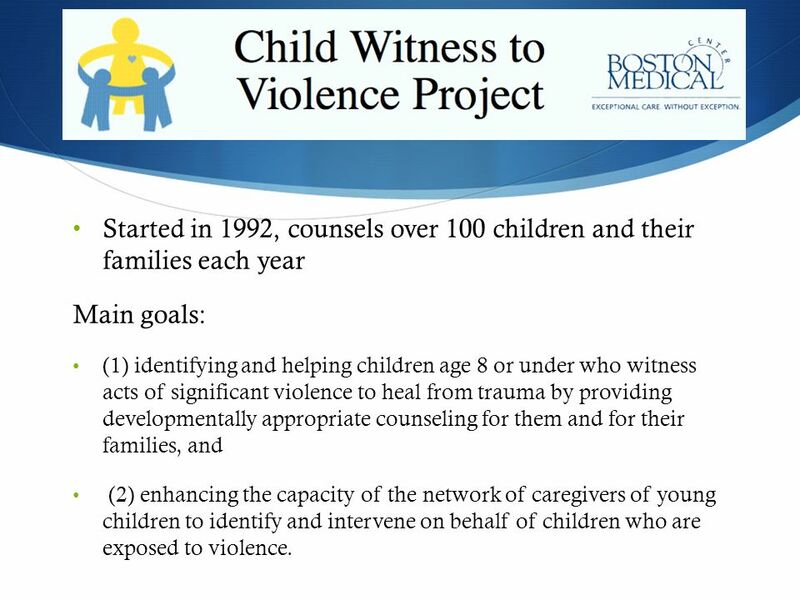 13 Started in 1992, counsels over 100 children and their families each year Main goals: (1) identifying and helping children age 8 or under who witness acts of significant violence to heal from trauma by providing developmentally appropriate counseling for them and for their families, and (2) enhancing the capacity of the network of caregivers of young children to identify and intervene on behalf of children who are exposed to violence. 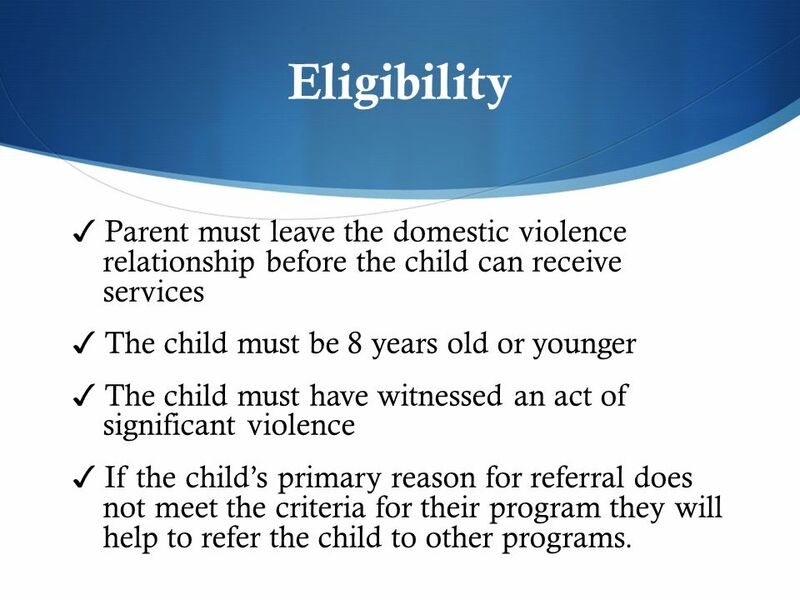 16 Eligibility Parent must leave the domestic violence relationship before the child can receive services The child must be 8 years old or younger The child must have witnessed an act of significant violence If the childs primary reason for referral does not meet the criteria for their program they will help to refer the child to other programs. 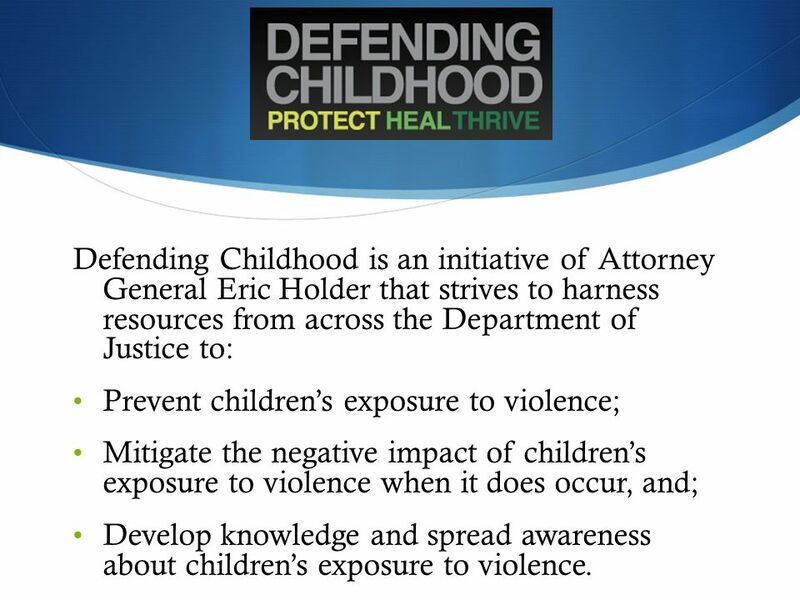 22 Defending Childhood is an initiative of Attorney General Eric Holder that strives to harness resources from across the Department of Justice to: Prevent childrens exposure to violence; Mitigate the negative impact of childrens exposure to violence when it does occur, and; Develop knowledge and spread awareness about childrens exposure to violence. 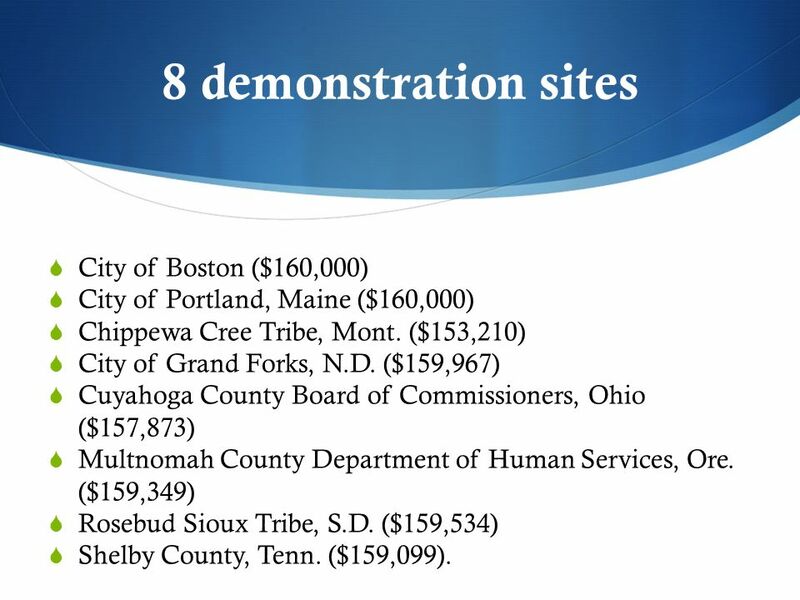 24 8 demonstration sites City of Boston ($160,000) City of Portland, Maine ($160,000) Chippewa Cree Tribe, Mont. 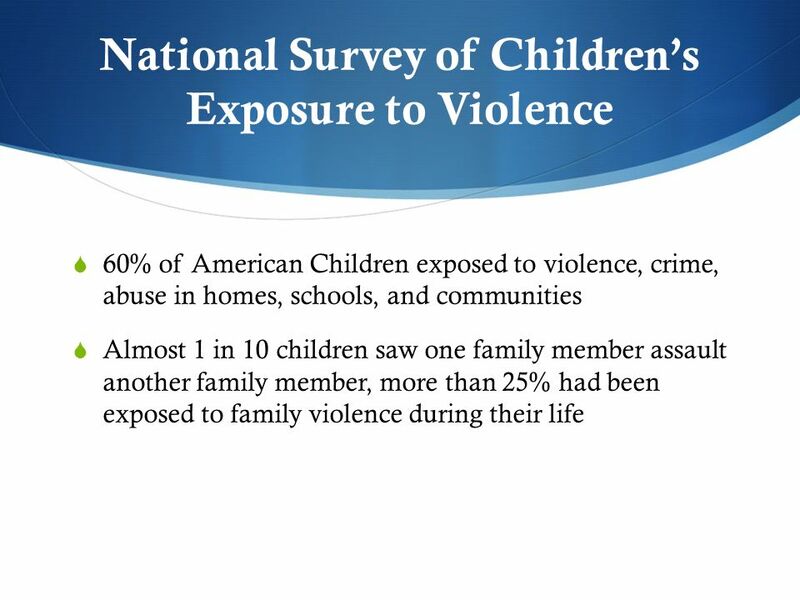 ($153,210) City of Grand Forks, N.D. ($159,967) Cuyahoga County Board of Commissioners, Ohio ($157,873) Multnomah County Department of Human Services, Ore. ($159,349) Rosebud Sioux Tribe, S.D. 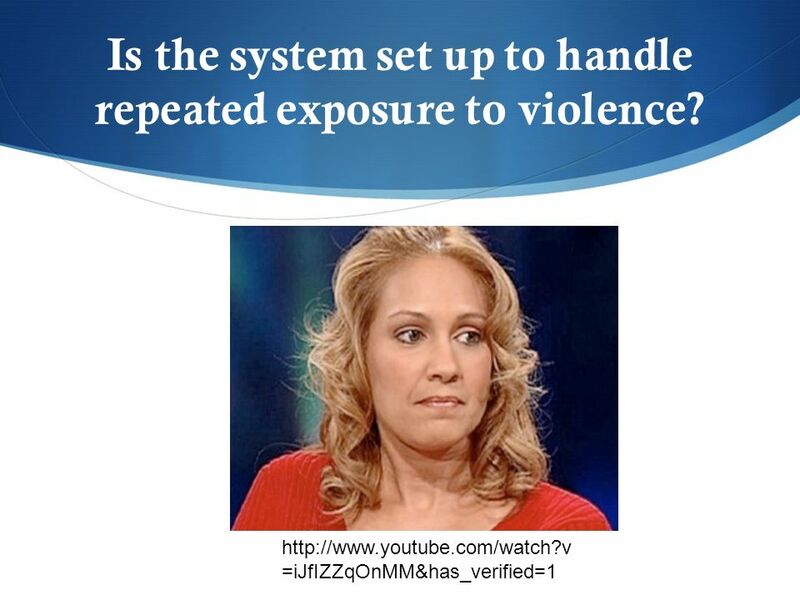 ($159,534) Shelby County, Tenn. ($159,099). 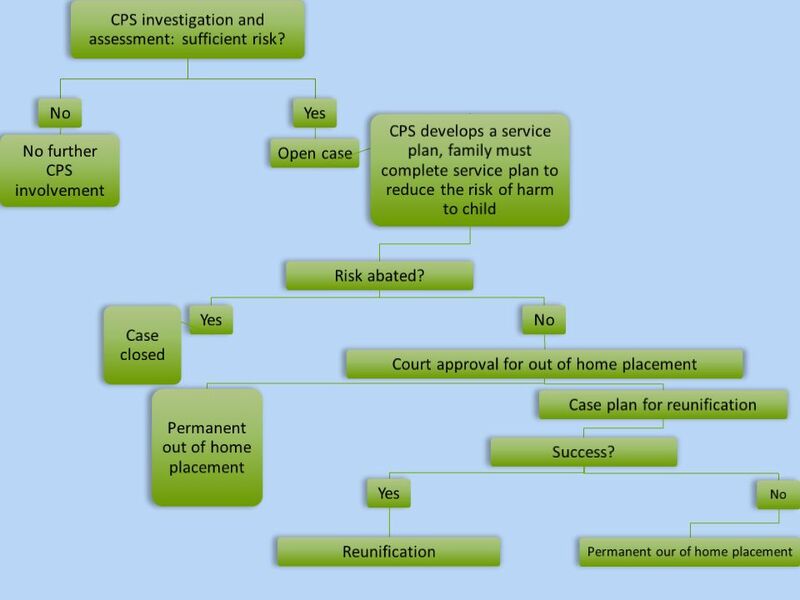 26 Recommendations for the future? 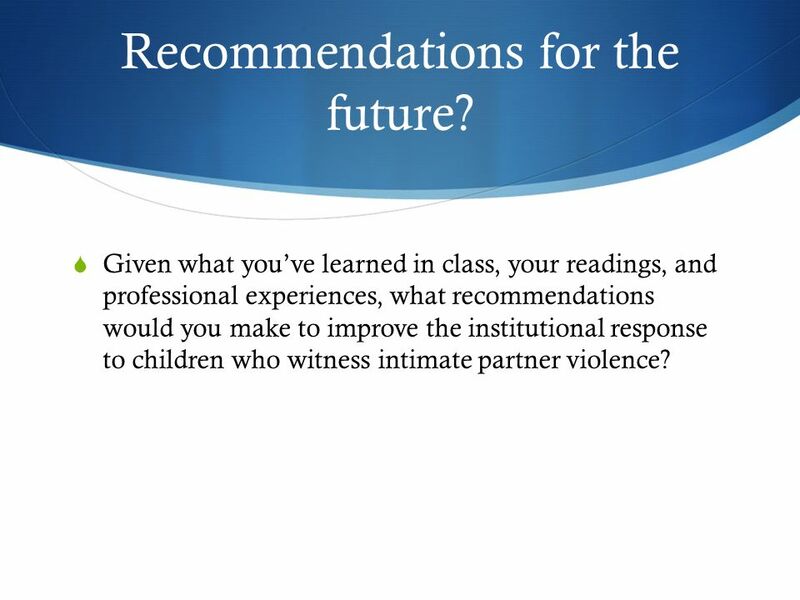 Given what youve learned in class, your readings, and professional experiences, what recommendations would you make to improve the institutional response to children who witness intimate partner violence? 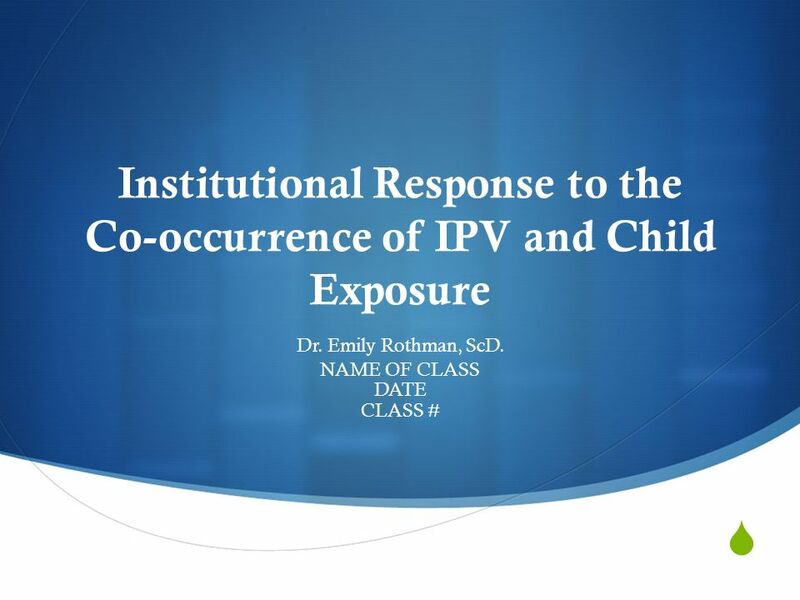 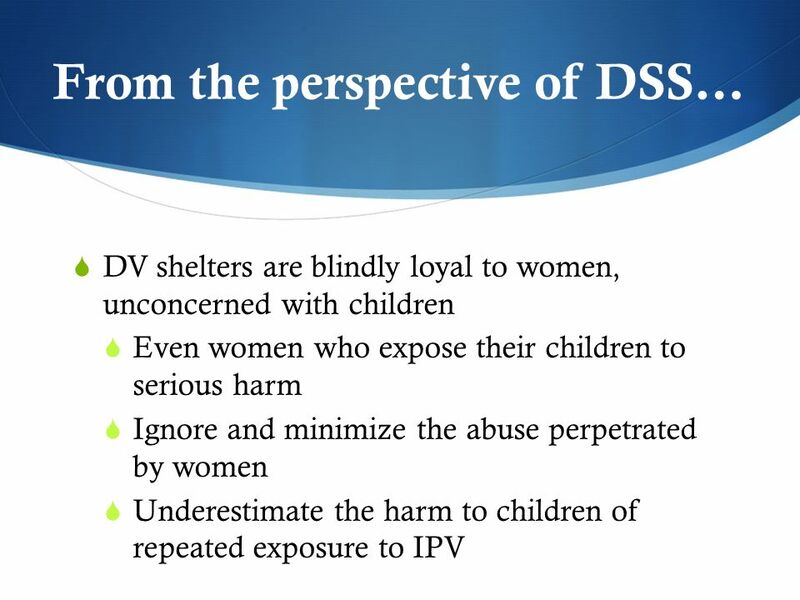 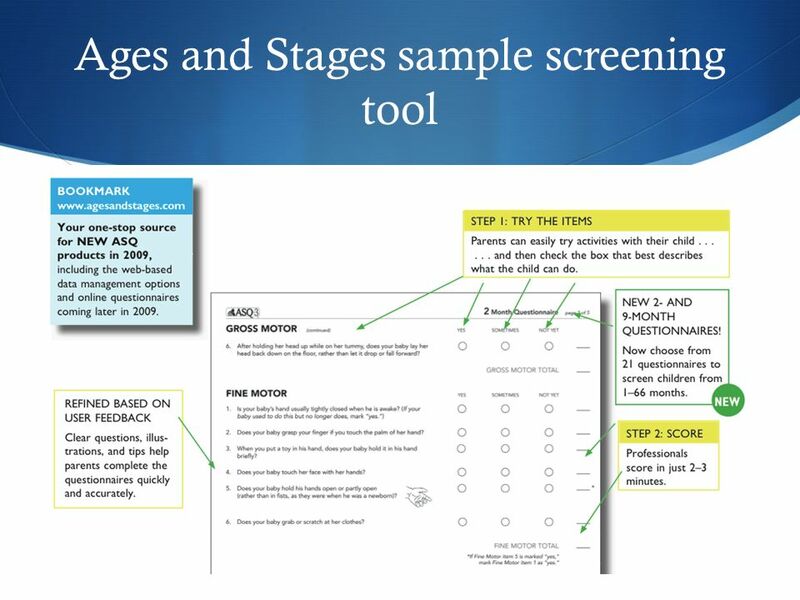 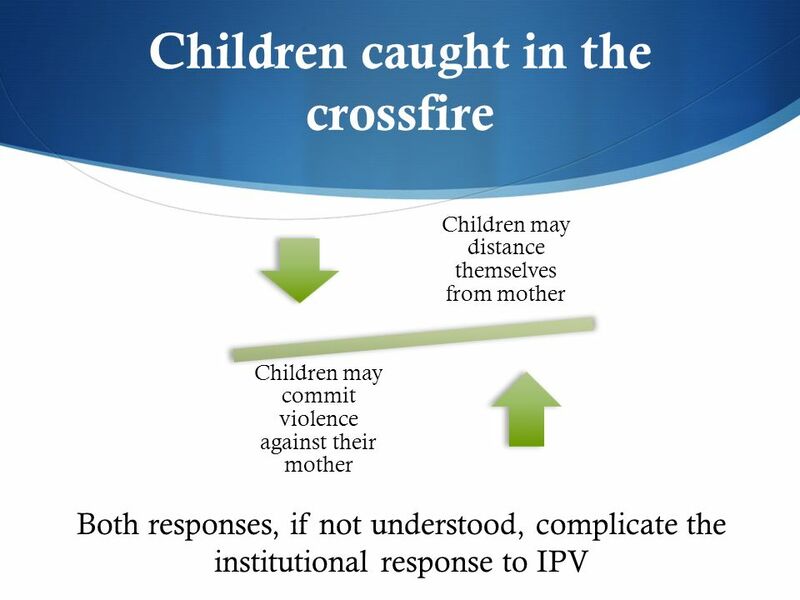 Download ppt "Institutional Response to the Co-occurrence of IPV and Child Exposure Dr. Emily Rothman, ScD. 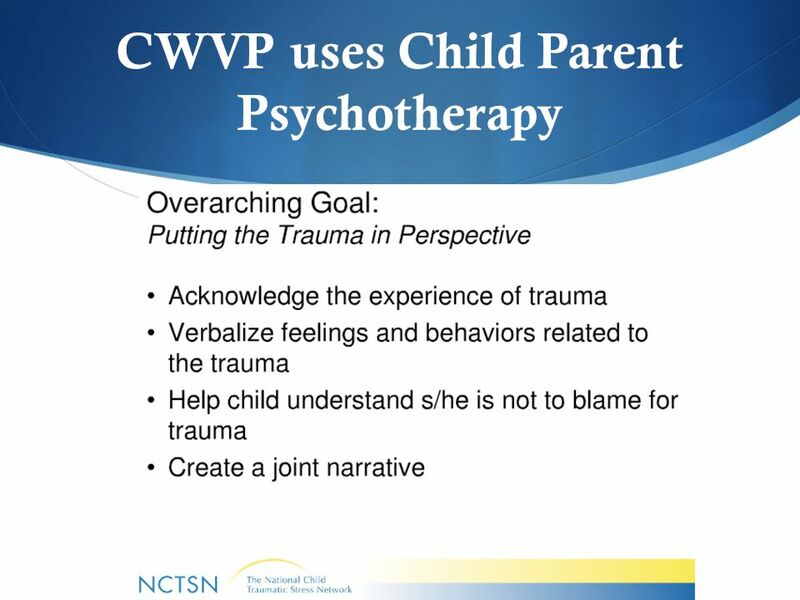 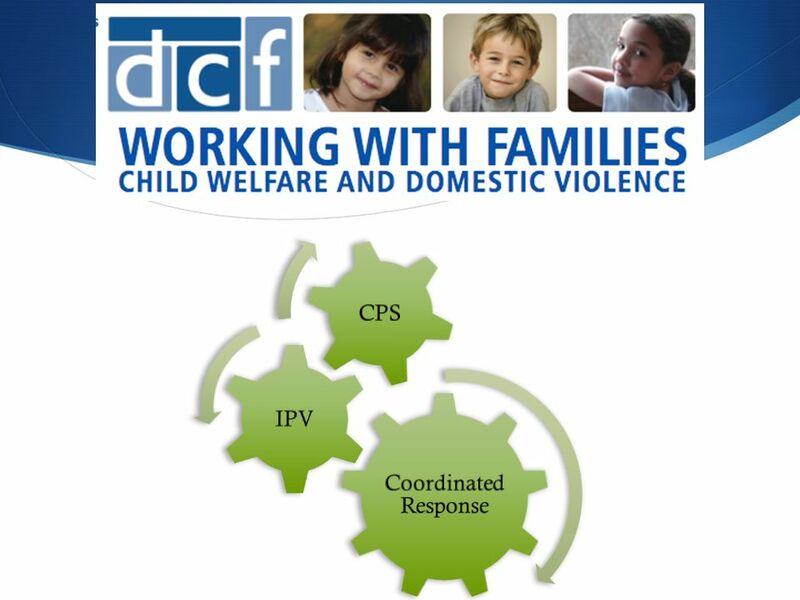 NAME OF CLASS DATE CLASS #"
Child and Family Service Review Outcomes: Strategies to Improve Domestic Violence Responses in CFSR Program Improvement Plans FVPF and NRCCPS Webinar September. 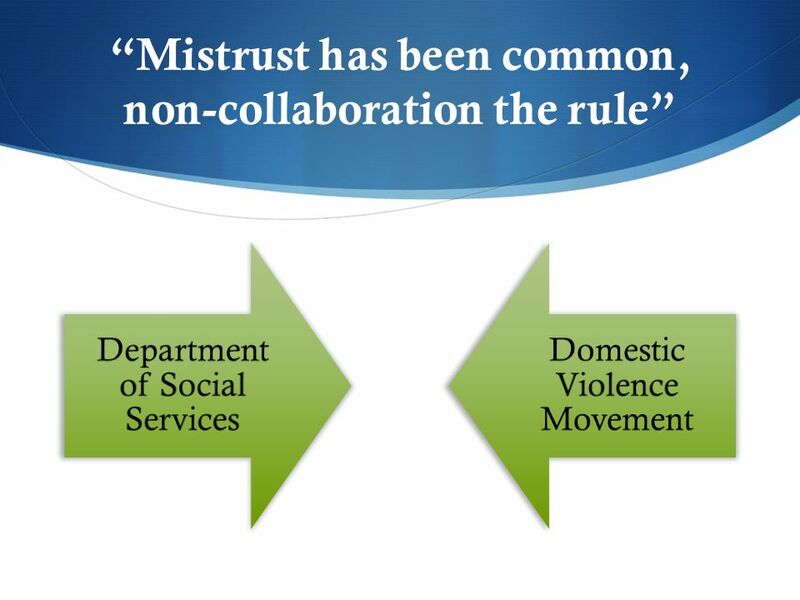 Barnardos Registered Charity Nos and SC Barnardos Domestic violence: Risk Assessment Model. 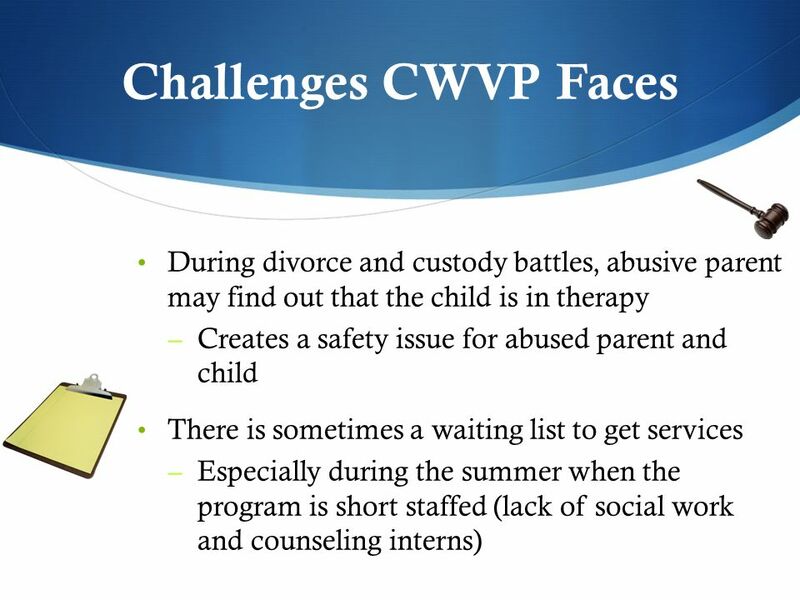 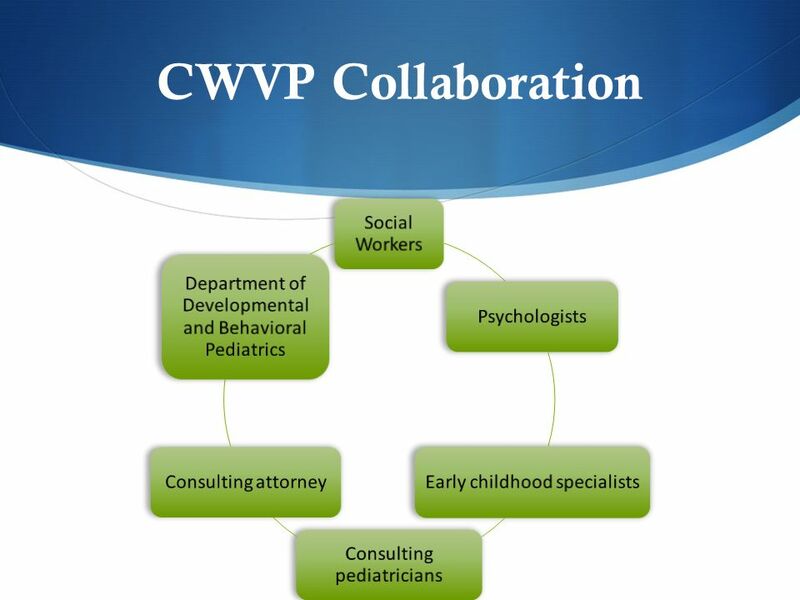 © 2005 CDHS College Relations Group Buffalo State College/SUNY at Buffalo Research Foundation Intimate Partner Violence (IPV) & Child Welfare Module One. 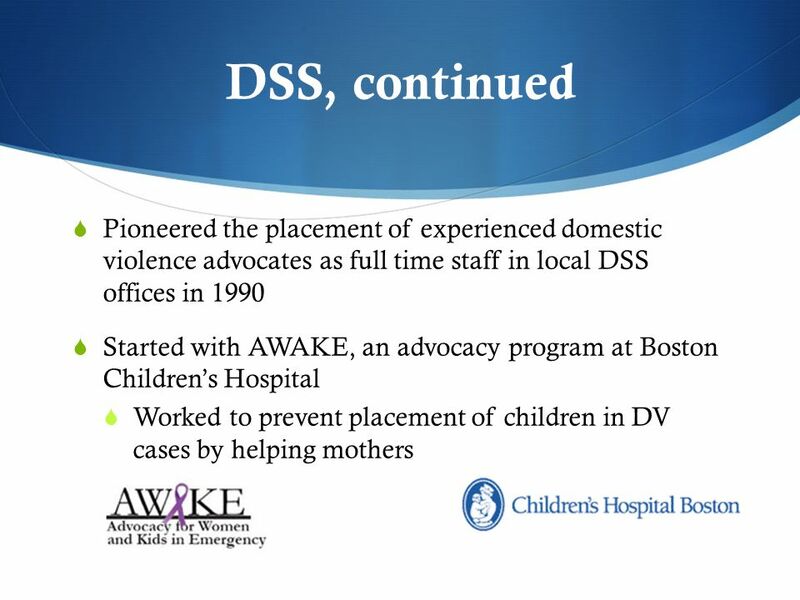 Supporting Children Exposed to Domestic Violence Creating a Coordinated Response in Elementary Schools. 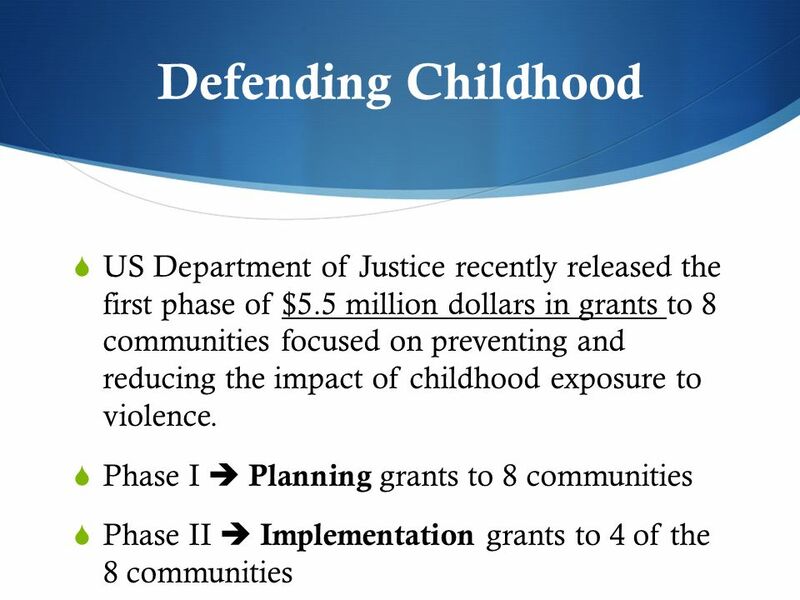  Clarence H. Carter, Director, Department of Economic Security Edward B. Truman, Special Counsel, Arizona Attorney General’s Office 1. 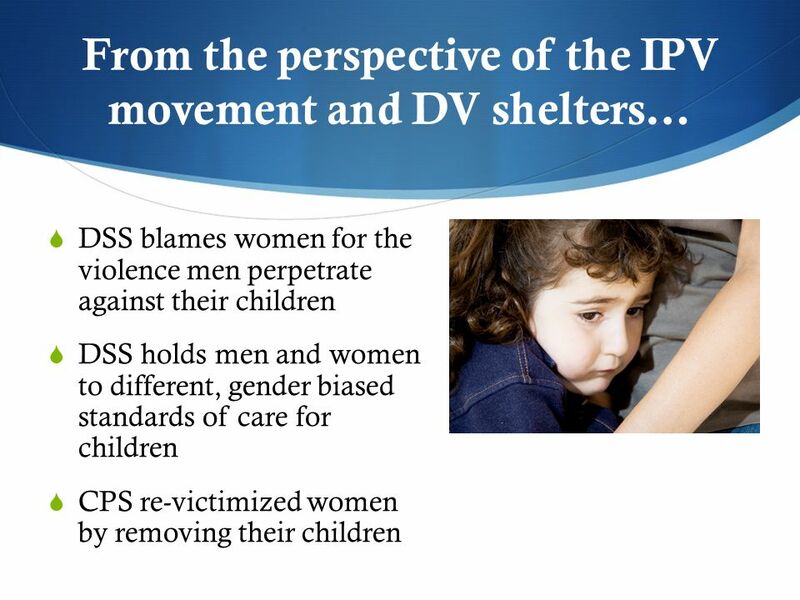 Human Rights Council Social Forum Policy Brief on Abuse of Older Persons Viviane Brunne UNECE Population Unit 2 April 2014. 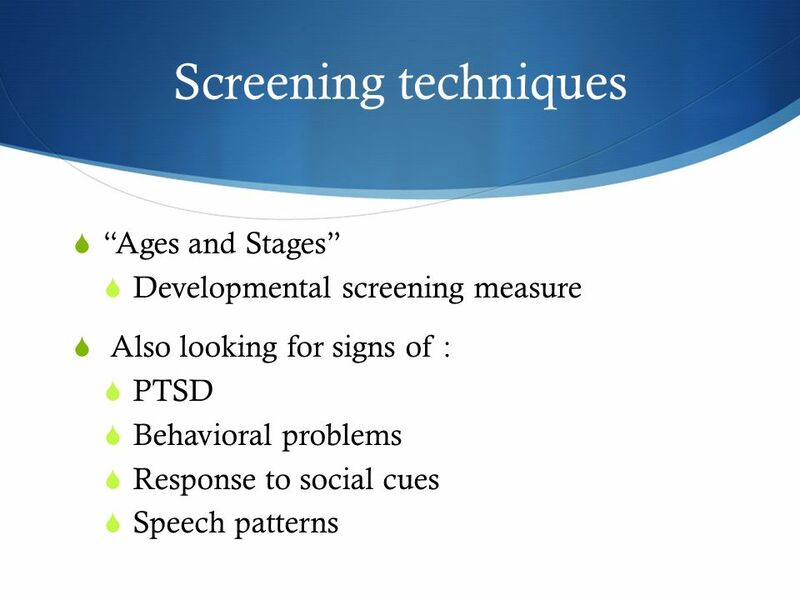 Ashley Howell. 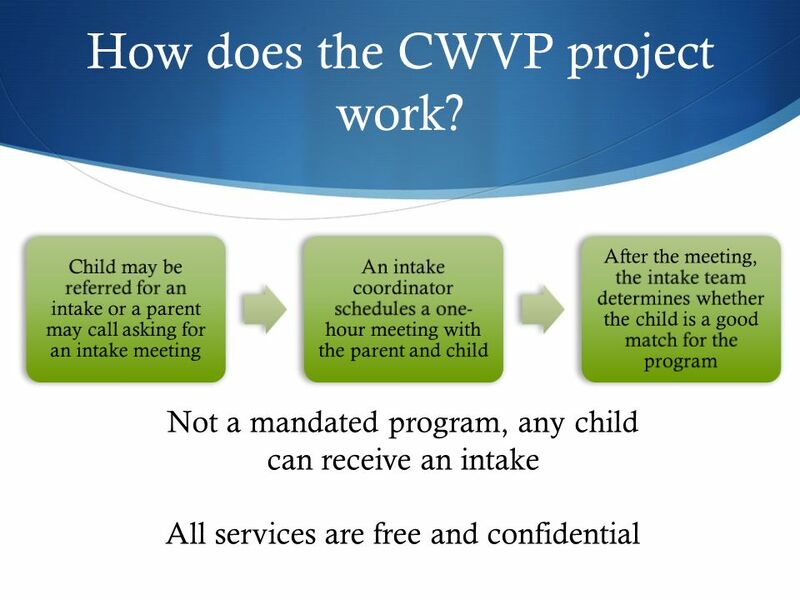  Children's Administration works with children and families to identify their needs and develop a plan for services which support families.